We go through a lot of bananas in this house. Sometimes it seems like I have two little monkeys living here. (Perhaps I do.) 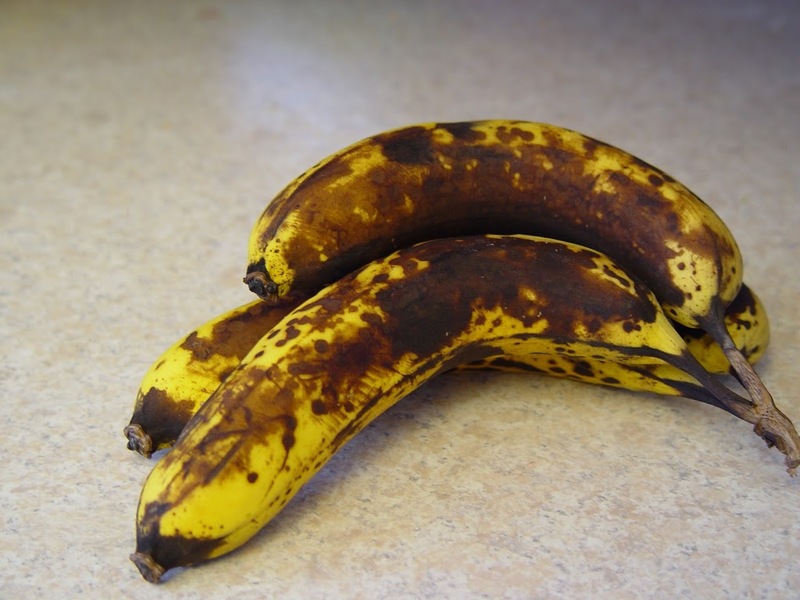 Needless to say, bananas don’t stick around for very long. But every once in a while, I have a few that end up like this! Yay! . . . . Time to make banana bread! I love banana bread! This is my favorite recipe. 1/3 cup unsalted butter, room temp. Whisk together all the dry ingredients (except the sugar) and set aside. In a separate bowl, beat butter, eggs and sugar until fluffy. Stir in the mashed bananas. 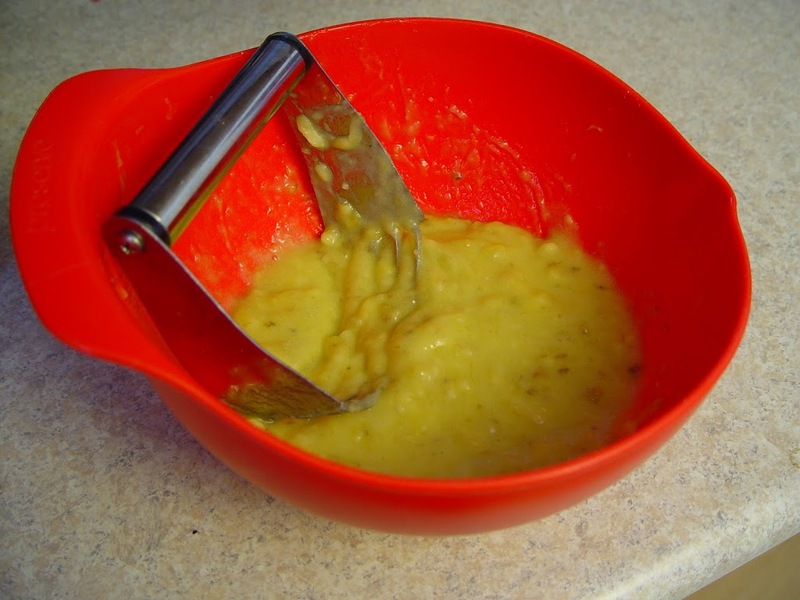 I like to mash mine with a pastry cutter, until it’s almost soupy. 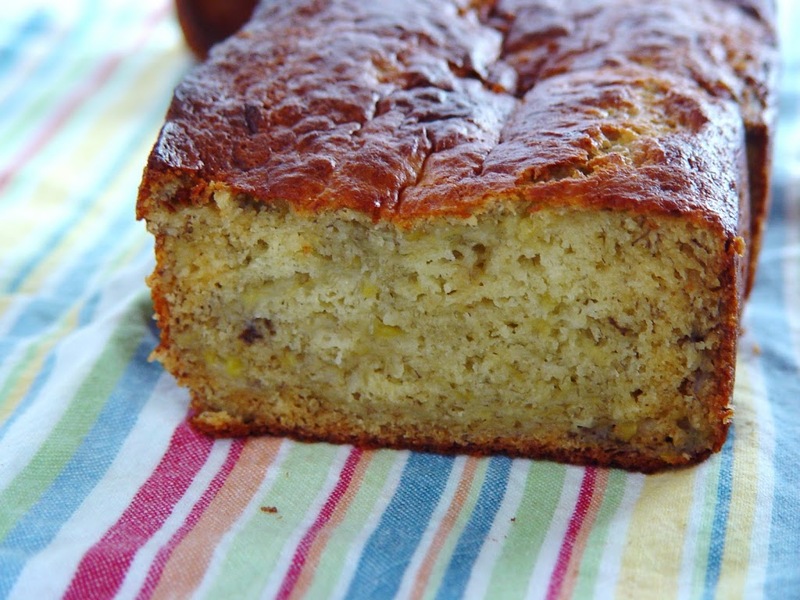 This gives an amazing banana flavor throughout the bread. Add flour mixture to the wet ingredients. Put into a greased bread pan and bake for 50 minutes at 350 degrees F.